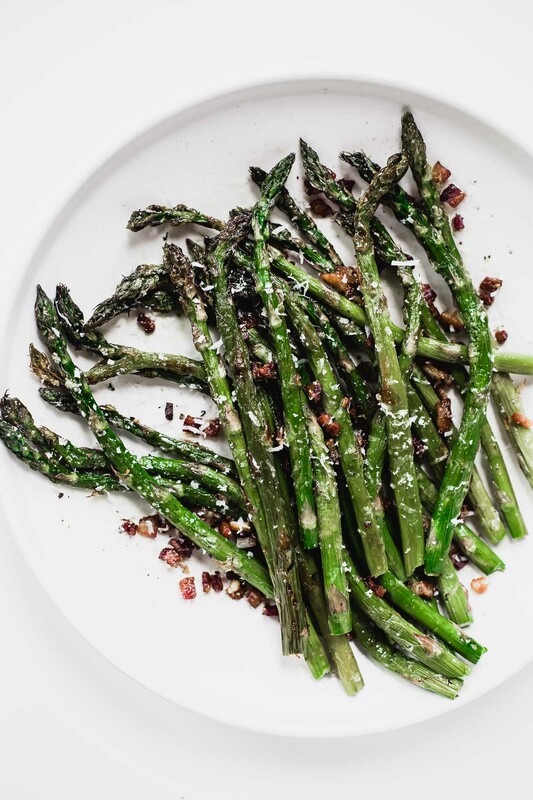 I’m always hesitant to say something is “the best”, but honestly, this 3 ingredient asparagus recipe is the best I’ve ever made, or eaten. And I take zero credit for it’s brilliance, as it comes from The Pretty Dish cookbook, created by Jessica Merchant of How Sweet Eats. Do you love her blog as much as I do? 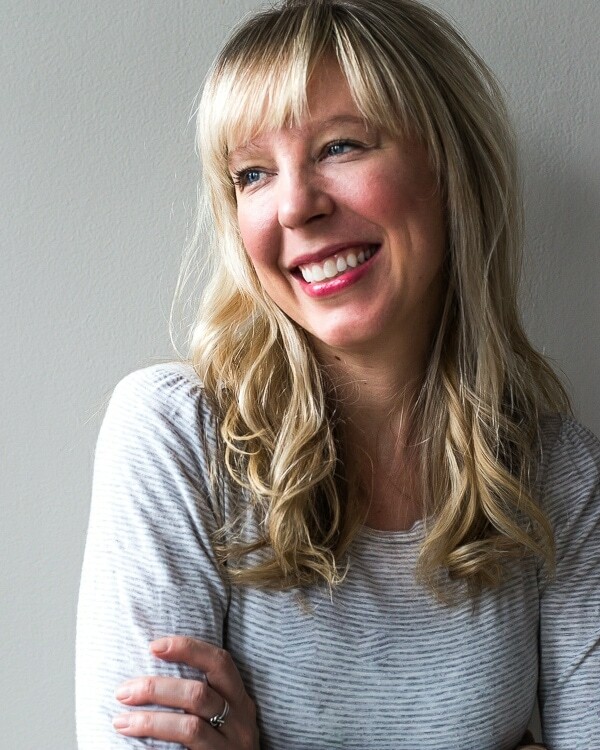 Her writing makes me feel like I’m talking to my best girlfriend, letting you into her real life, who talks about all the things she loves from food to makeup (the book also includes 50 Beauty DIYs! ), clothes, celebrity gossip, music, vacations, her children….. which I appreciate because it brings out the feminine side of me that sometimes gets lost. I had the opportunity to spend a weekend with Jessica last year, and I can tell you she is every bit of wonderful – humble and down to earth, a contagious energy, and the ability to make me belly laugh without even trying. 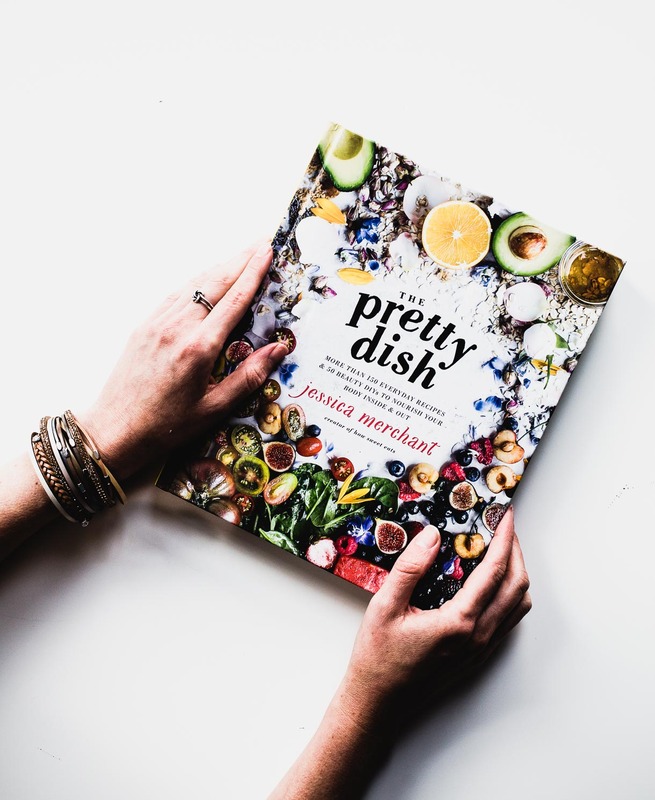 And through this book, you’ll find that exact same person, along with 150 delicious recipes with a stunning, vibrant photo for each and every one of them. She even includes party menus, and her favorite playlists! I altered the recipe slightly, using a tablespoon of the bacon fat that had rendered, to replace half of the olive oil called for. And it paid off in the form of richly flavored spears from the inside out, and crunchy tips. I also must have spaced out for a second while making the recipe, because the shallot I bought from the list of ingredients never made it into the pan. Oops! But that little mistake didn’t seem to hurt the end result. And it certainly keeps things simple. 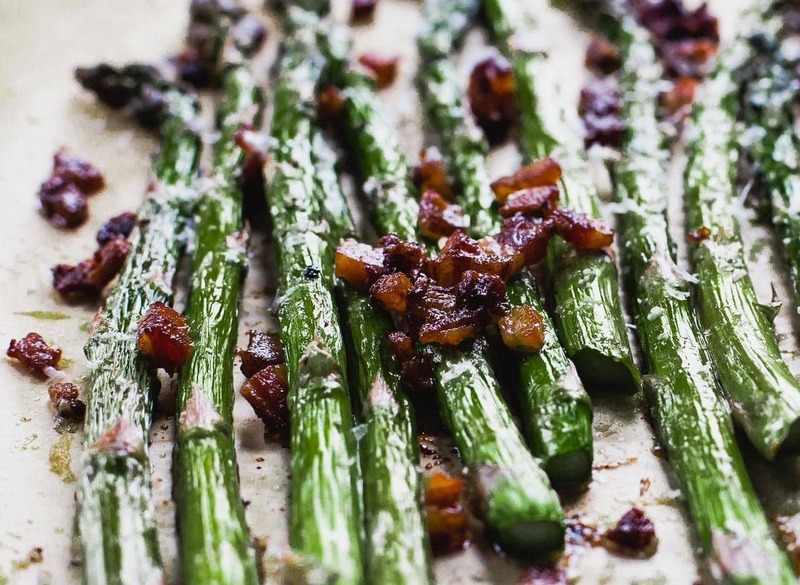 If you make this 3 ingredient asparagus recipe, please let me know! Bookmark it and leave a comment below, or take a photo and tag me on Instagram with #heartbeetkitchen. Heat a skillet over medium heat and add the bacon. Cook until some of the fat is rendered and the bacon just begins to crisp, but does not get super brown and crispy. Remove it with a slotted spoon and place it on a paper towel-lined plate to drain. Reserve one tablespoon of the bacon fat left in the pan, and set aside. 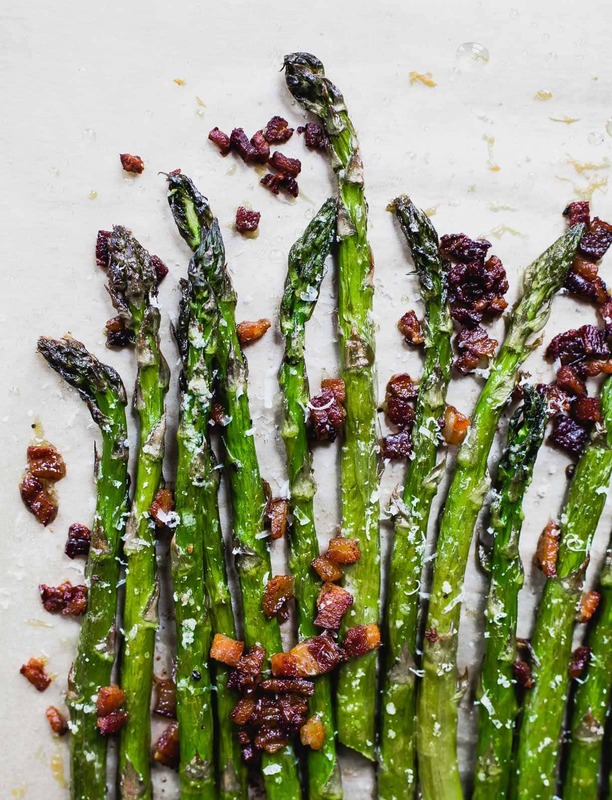 Place the asparagus on a parchment lined baking sheet. Drizzle with the tablespoon of rendered bacon fat and olive oil. Sprinkle with salt and pepper. Then toss with hands to coat. Sprinkle on 2 tablespoons of parmesan and all the bacon. Roast for 20 to 25 minutes or until the asparagus become a bit crispy and brown. Remove from oven, and sprinkle with the remaining 2 tablespoons of parmesan before serving. I consider this a 3 ingredient recipe, as the salt, pepper, and olive oil are things that should always be in pantry. The original recipe comes from The Pretty Dish Cookbook, which calls for a shallot, finely chopped, that you add at the same time you add the bacon in the recipe. You can certainly make it that way if you'd like! Gimme every spear. So good! I now double the recipe when I make it, because yes, SO GOOD! 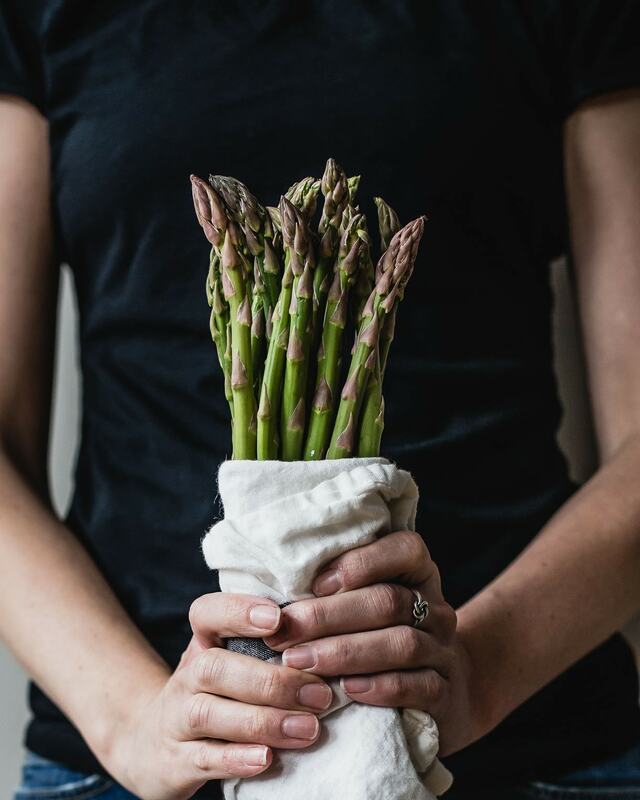 Yessss we had asparagus last night for the first time this spring, and now I’m bookmarking this to make for next time! 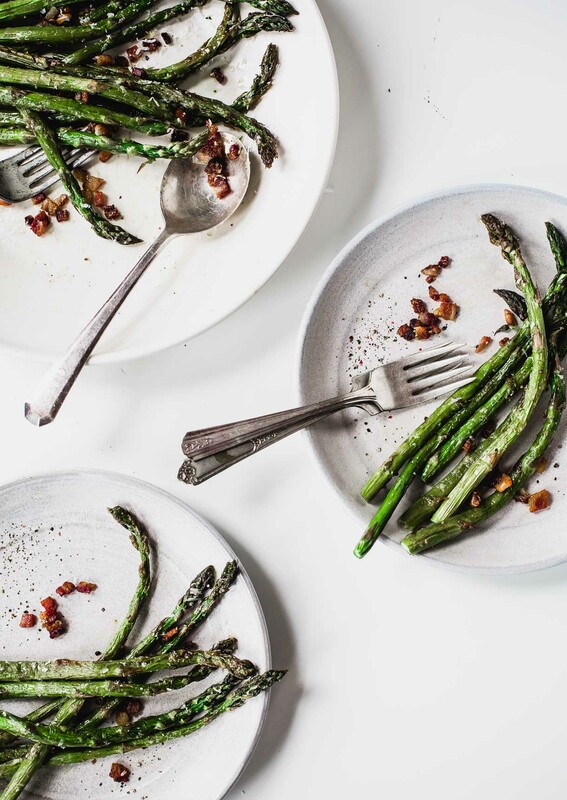 We have asparagus in HEAVY rotation in our house, so I bet my husband would LOVE this recipe! 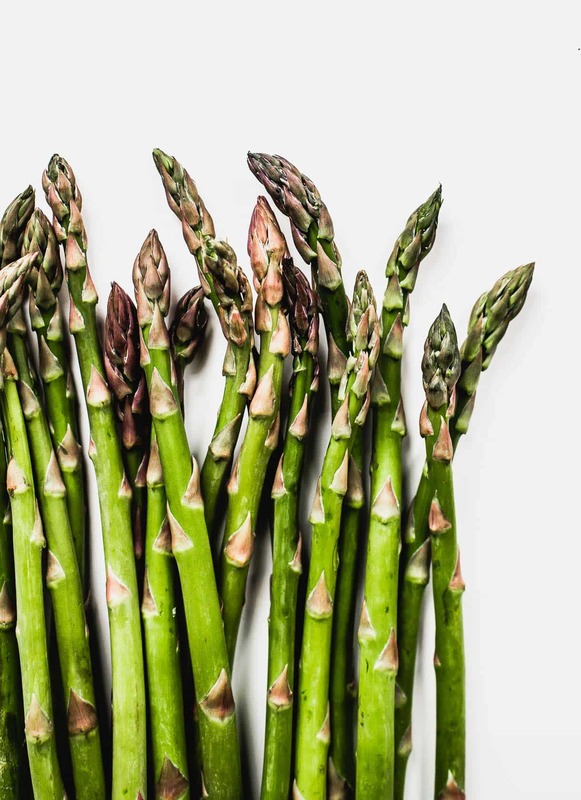 IS THIS ONE OF THE BEST YEARS FOR ASPARAGUS? I BOUGHT FROM RALEY’S A GROCERY CHAIN FROM CALIF. THIS YEAR THE TASTE WAS “SOO SWEET” THE TEXTURE WASN’T STRINGY. I CAN’T GET ENOUGH OF 2018 ASPARAGUS. yes, this batch was great! i loved the thickness of the spears, and had a sweet yummy taste.